When it comes to the great number of books on war the portion given over to non combatants and the social aspects of war are a small fraction. War is too often a series of maneuvers and counter maneuvers that give geographic and material sense of war, but leave the what took place apart from the battle field unexamined. This is especially true with World War I, Tammy M. Proctor, argues. 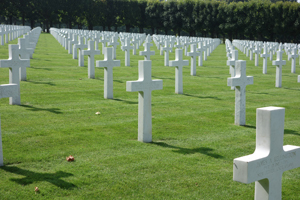 When describing the war in the west, the relatively narrow stretch of battle field in France and Belgium are the main focus, and for good reason with its legendary stalemate and destruction it is hard to ignore. Other fronts, such as those of eastern Europe, Italy, Turkey, or eastern Africa, are less well known, but surveys of the literature would probably bare out the same finding. Perhaps some of that perception comes the idea that unlike World War II, the First World War was not a very mobile war, the eastern European and east African campaigns aside. However, as Proctor shows, the world of the non combatant was more perilous and central than is usually represented and was a harbinger to what was to come in World War II. She opens the book with the concept of the citizen soldier, perhaps the weakest part of the book in part because it has been covered in depth in other books. Nonetheless, she provides a good introduction to the need to create soldiers from what, until then, were non combatants. As is not uncommon, her first person material about the reactions of soldiers to their new lives in the armed forces, is the strongest when discussing the western front and helps show the initial call up as of almost joyous confidence (there are scarce records for soldiers who fought on the eastern front). What is most illustrative, though, is the lengths the waring nations went to call men up and how long the plans had been in existence. In the initial call ups you can almost see the course of the war: the Russians chaotic, a paper army in some ways; the Germans efficient and organized; to a lesser extent the same for the French; and the British relied on their professional Imperial volunteers to fight the beginning of the war. Once she moves away from combatant the book is much more focused and the one take away from the book is that war requires man power, not just at the front, but in support, too. That need drove the use of masses of hired and conscripted labor throughout the war. The British hired men from around the empire, as did the French. Although nominally civilians, dressing in civilian clothing and expected to stay away from the front lines, the men were often quite near combat especially with the advent of aviation and long range artillery. The workers for the allies continued to come in part to show their worth as suggest to the imperial powers and to earn much needed wages. Given that many of the laborers were non European there was racism and smug behavior from the colonial officials that attempted to make sure that the laborers, once exposed to the distractions of France, would be controllable. The same cannot be said for workers for the central powers who used conscription to raise labor battalions. The conscript labor ran the same danger and in a replay of what would happen in World War II as the armies moved back and forth over the same contested terrain, the civilians who had been forced into labor were accused of collaboration. 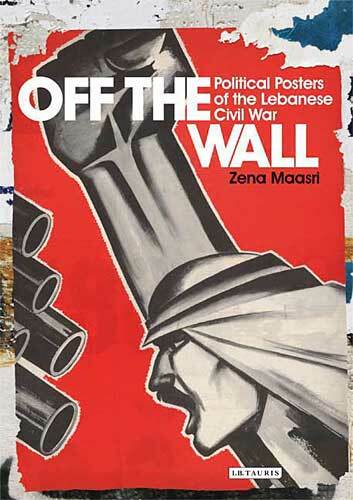 The chapter on refugees and civilians in occupied areas was also quite good. The difficulty faced by civilians who were caught behind enemy lines could be quite high as neither side really understood how to handle large numbers of refugees or what to do with civilians of an occupied country. The Germans, for example, took hostages in Belgium and obligated countries to provide workers for the war effort. All sides began to use concentration camps to gather contain suspect groups of people. Often the camps were over crowded and badly designed. It is obvious from what she writes, that the civilian encounter with war was much larger than is commonly pictured. Not only were civilians forced to relocate, work, and otherwise help the enemy war effort, with the shifting movement of the front lines in the early days on the western front, throughout the war in the east and in East Africa, civilians were in peril in a greater numbers than any time before. Proctor is quite good in showing the total mobilization that each country did of its civilian populations. Whether it was women joining the work force or serving as nurses on the fronts, or volunteers joining ambulance units or the YMCA, there was a commitment to seeing the war as something everyone had to take part in in some way. The commitment come from mixed motivations: munitions workers, she notes, coming from working class background, found the work a step up from their typical factory work. The introduction of rationing and the draft on a scale never before seen, also blurred the lines between civilians and soldiers, bringing the war closer to home. Even though some civilians experienced air raids that truly brought the war to a new level, it was total focus on war in all of its aspects that made non combatants something other than civilians. Civilians in a World at War is successful at showing that World War I had more civilian impact than is generally thought of. She is correct in arguing that World War I redefined the role of the civilian during war. If I have one complaint it was need at the end of every chapter to reargue that she had made her point and that civilians were not people who did not fight, but part of the war and who played critical roles in keeping it sustained. 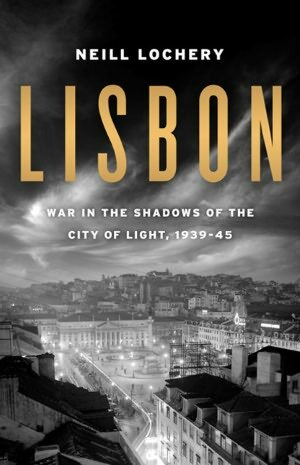 Lisbon: War in the Shadows of the City of Light will tell you just about everything you will ever need to know about Lisbon and Portugal during World War II. Perhaps, too much depending on you interests. Neill Lochery not only writes about the Salazar government at war, but about the intrigues and, in many ways, the gossip of those who passed through the city. The book is best at laying out Salazar’s plan to stay neutral and how he was able to play the two sides off of each other. As a man without any other goals than staying in power and making Portugal modern, he was able to sell tungsten to Germany without the least scruples in taking German gold (some of which the Bank of Portugal is said to have, Richsbank stamp and all). And with the allies, especially Britain which Portugal had long had alliances, he also sold materials for gold. As long as one side seemed more powerful than the other, he attempted to favor them more, short of joining the war. During the early years of the war he was quite welcoming to Germany, but he didn’t want to join the war, nor did he want Spain to invade. Spain had made several different plans to invade during the war, but Salazar was able to avoid it. He was always cautious, and even in 43 when Germany didn’t look as strong as it had, he delayed granting access to the Azores to the Allies.It is in the context of the scheming man that Lochery notes that any good that came out of Portugal’s neutrality during the war came about because it suited Salazar or he had no control over it. The Jewish refuges are a case and point. While Salazar didn’t kick Jews out of Portugal, he also didn’t want to grant them entry visas. It was his diplomatic officials early in the war who disobeyed orders and were able to allow Jews to escape through Lisbon. Lisbon itself was a reflection of Salazar. It was full of spies, refugees, and people taking advantage of the situation. With all the refugees and the limited transportation options out of the country many were stranded there and had to do what ever it took to get out. For the rich such as the Gugenhiems, the Duke and Duchess of Windsor, and Hollywood stars like Leslie Howard they stayed in the best hotels and lived a life that had nothing to do with the deprivations of the war. It is here, in the more biographical sections, that the book suffers a bit. Not that it is badly written, it just isn’t that interesting to me. Especially, the part about the Duke and Duchess of Windsor. At least I know now how self-absorbed he was but other than that I don’t really care. There are definitely some sections one can skip over. It is an interesting book, but for me only half of the book was interesting. But if you are interested in the history of Portugal during the war you can’t go wrong with this book. Morris Dickstein’s Dancing in the Dark is an impressive piece of scholarship that should last as one of the most important books on the subject for some time. I won’t say it is the most important book of its kind because there are a few gaps in the material but as a work of literary, film and cultural criticism it is a solid work. While one may be forgiven for thinking the books is primarily literary criticism since most of the first 200 pages are an overview of the literature of the period, one of the strengths of the book is his appraisal of the films of the 30s. No cultural history of the time could be without an investigation of film history and his understanding of how the films reflected the times is solid. In particular, when he crosses the genres of film and literature he makes some interesting cases. He is sympathetic to Stienbeck (perhaps the most famous and most criticized depression writer) who he sees as a good writer of the times, someone who did not get caught up in the proletarian novel like Michael Gold in Jews Without Money, and instead was more interested in observing as a scientist. This led to his weakness as an artist, because he tended to write in terms of types, but it also allowed him in books like In Dubious Battle to see the labor leaders not as heroic martyrs with a degree of complexity. His take on the Grapes of Wrath is positive, calling it one of the better books of the decade, even though it has some silly slang (I remember the use of tom catting as particularly egregious) and he finds the ending too much. It is when he mixes the his film criticism with his literary that his take on the Grapes of Wrath takes its full power. For Dickstein, Grapes the book cannot be understood without the movie. It is the movie that makes the book iconic. The faithful reproduction of the book as a film amplifies the power of his lost eden and smoothes over the awkward moments. It is an interesting take, because it forces the book to be appreciated in terms of another work, and while many works need context to be understood, works typically can stand on there own at some point. Dickstein sees several trends in the works of the times. One is a sense of mobility that expresses a freedom and a sense that things will get better. Whether in the dance films of Rodgers and Astaire or the Screwball Comedies with their irreverence, they are not so much an escape into the fantasy of being rich, but a moment of complete freedom. These he contrasts to the desperate works that marked the early years of the depression. Books such as Jews With Money where the proletarian characters have to fight their way out of the slum, or the gangster films which are a kind of nihilistic Horatio Alger story where the gangster, usually from an ethnic background, rises to the top with his own muscle and smarts, but falls, much as the American economy had. These stories show the failure of the American dream and show a people desperate and unmoored from the society they thought would hold them together. This image is reflected in countless books such as Tobacco Road and most powerfully, Miss Lonely Hearts, one of Dickstein’s primer works of the decade. Not having read or seen many of the works it is hard to gauge some of his claims. But the works I do know I found his take to be insightful and nuanced, even if I didn’t agree with it completely, such as his take on parts of the Grapes of Wrath and the USA Trilogy. His take, for example, on Citizen Kane goes beyond the technical or the political controversies that occurred when it was first released. Instead, he sees it, along with Meet John Doe, as an examination of a dark populism, the kind that led to the rise of Hitler, and began to concern artists as World War II approached. Citizen Kane, Meet John Doe, and Nathaniel West’s Day of the Locust, all reflect the end of an idealized dream of the people working together for a better society. It is a quite a change from the initial desperation and despair that led to the rise of the belief in the common man. The belief didn’t die just from a few men, but the works of art began to reflect a fuller picture, one where hope can be channeled into dark desires. While Dancing in the Dark is an impressive bit of scholarship, it suffers in a few areas, in part I think, because to be as expansive as I would like it would be at least twice the size. First, he tends to concentrate on the best of the era, even if you might not think a particular book is good, it is the best of its class. In literature that isn’t such a problem, but in film I would like to have seen more than a passing reference to the silly films like those of Shirley Temple that were so popular. Another area that is missing, and is often missing in studies of the era, is a discussion of radio. Except for the usual Father Coughlin reference, radio doesn’t seem to exist. The lack of coverage of radio is indicative of the large lack of other cultural products of the area, from magazines to comics. I would like to see more of these ephemeral items. He does talk about musical theater, but I get the impression that is because he likes musicals. Musicals were certainly an important art form of the era and he has some insights, but I couldn’t help but feel he included them because he loves them. Those criticisms aside, Dancing in the Dark is an excellent book and filled with fascinating insights to the era. It should, as it has done for me, make anyone who reads it want to see the movies and read the books he brings to life with his descriptions. The Odyssey of the Abraham Lincoln Brigade is the definitive account of the Abraham Lincoln Brigade, not only during the war, but the before and after. The book is also a labor of love and it some times colors the otherwise solid writing in the book. Carroll clearly loves his subject and it shows in the lengths he goes to show the veterans as committed anti-fascists. Yet as a true believer he is blinded to a few contradictions that should have been addressed in his book. The book is roughly divided into three parts: before the war; in combat; and after the war. In part one Carroll shows that most of the veterans were already radicalized workers, many who were already communists or labor activists. Many had spent time in jail during labor unrest and were politically aware of what was going on in Europe. There were some college graduates, but most were workers. As the call for volunteers went out, the Communist Party organized the recruitment and because of fears of spies primarily communists were sent to Spain. Others such as socialists were excluded for lack of commitment. What is clear is that most volunteers believed in the party. Once in Spain the Brigade was not well trained and suffered high losses from initial lack of leadership, training, and bad strategic decisions. Never equipped adequately, the Brigade did their best but suffered high losses. Carroll notes that several times the men expressed discontent with the war and there were some desertions, but in general the men continued to believe in the war and follow the leadership. Carroll goes at great length to show that the men were brave and good soldiers. It often seems that he is determined to show that despite any myths people have heard, they were brave men. He also wants to show that the men were committed and few wanted to desert. While from his numbers that seems to be true, he repeats this several times and one gets the impression this was more than a fact but a detail personally dear to him. Once the war ends the veterans return to the US where they try to support the defeated republic, a commitment that would follow them throughout their lives. The biggest controversy in this period is when the veterans follow the party line after the Soviet-German non aggression pact and say that it is no longer their business to be anti-fascist. It is here that Carroll doesn’t really examine the case particularlly well. If they were anti-fascist they should have continued with that line, but instead they changed, and Carroll suggests that it was natural, that it wasn’t their fight any more. It is not exactly an apology, but it is a soft peddle that underscores the weaknesses of the book: the soldiers were brave and fought the good fight, therefore, criticism should be kept to a minimum. For Carroll the important thing is to restore the honor of the Brigade, not to find the mistakes they made. His coverage of the McCarthy era is solid and shows some of the excess of the period quite well. Yet he would have done well to have explained a little better how some veterans were not a threat, while in one case one was a spy for the Soviet Union. He is a little quick on passing over that veteran. And while the McCarthy era was excessive, he needed to better explain what the veterans were and were not. Just because the supreme court found that the enemy agent laws were illegal and suppressed free speech, doesn’t explain the history of the veterans. Overall, the book is an important resource for the era, but has some weaknesses. I find it hard to imagine that many of the veterans he wrote about in the book would have ever agreed with Antony Beevor that the battles on the Elbro were mostly pointless political theater, and not of strategic value. Nor would Carroll, I suspect.